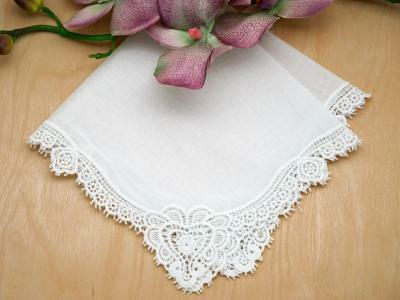 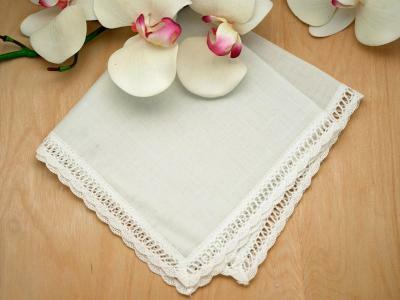 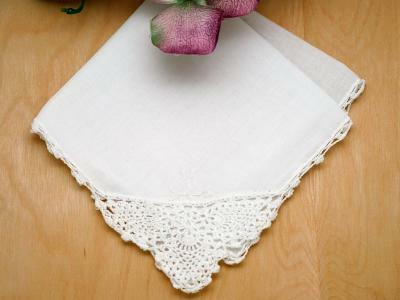 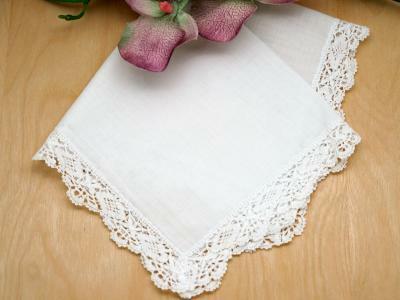 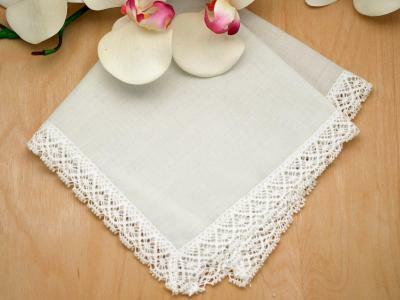 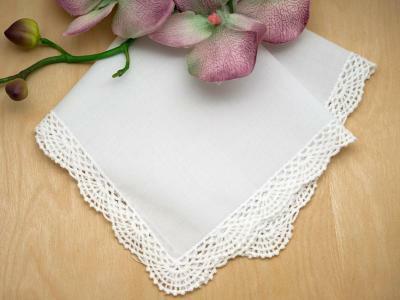 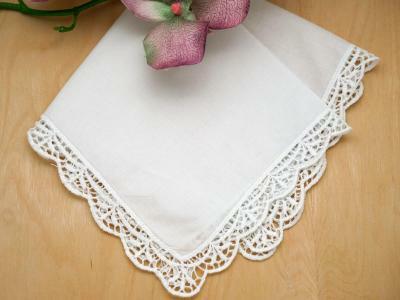 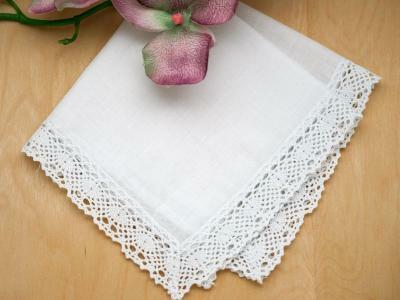 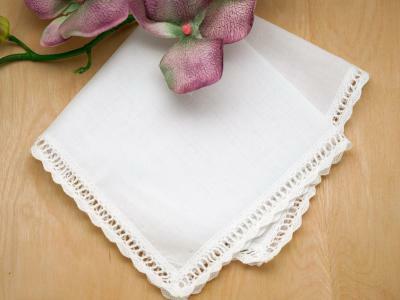 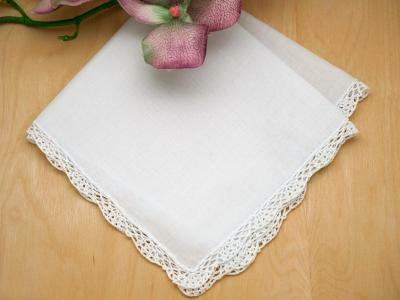 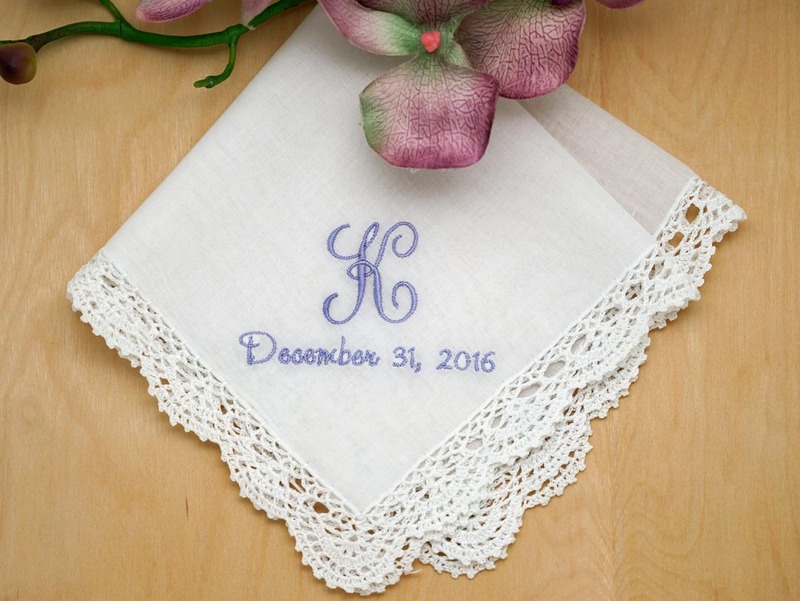 Personalize your wedding handkerchief by adding a single initial monogram and your wedding date to the lace handkerchief of your choice. 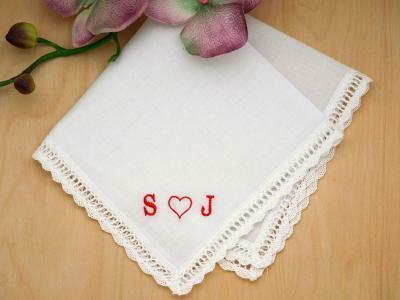 Please note that the letter either represents the first or last name. 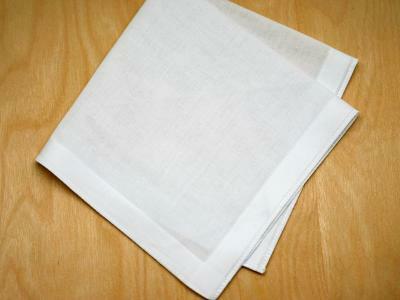 The date will be spelled out as shown. 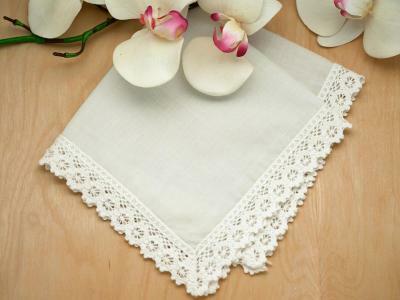 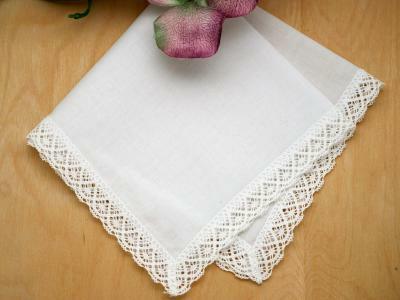 Monogrammed Wedding Hankie w/ 1 Initial And Date - Font J Customers have rated this product	4.9 out of 5 based on 20 rating(s). 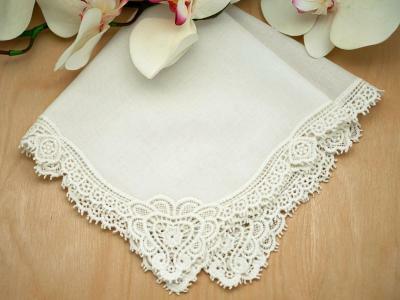 Exactly what I asked for, love it! 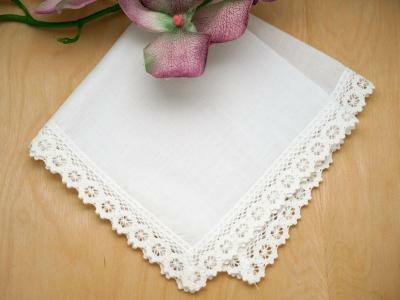 Will make a wonderful gift for the Mother of the Bride and Mother of the Groom!.. 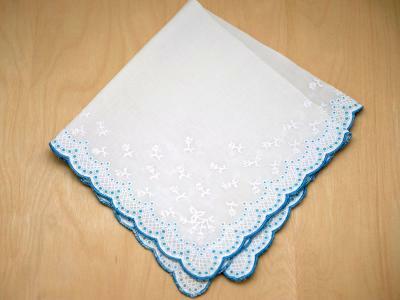 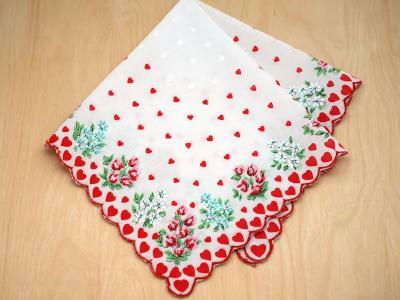 I bought a number of hankies and I was highly impressed with the quality of them. 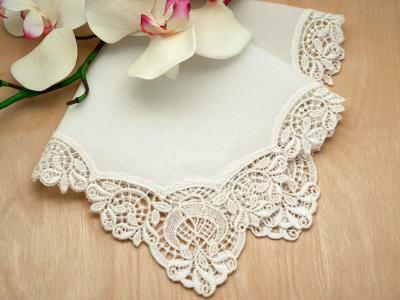 Beautifuly made and fast shipping to Australia, less than 10 days. 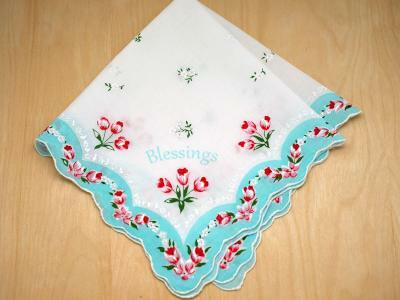 Thank you..